Fond of Snape » Blog Archive » Cheers, Sevvie! 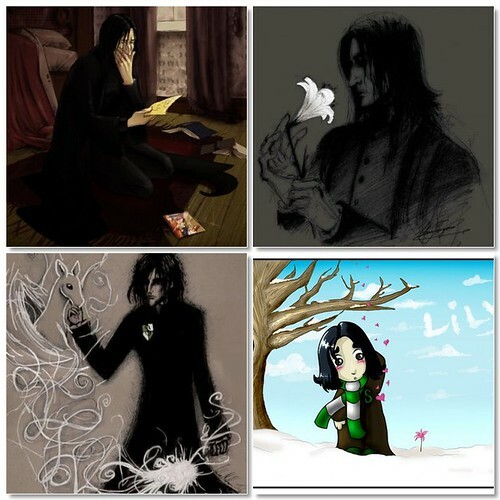 I rather like the symbolism of Snape with the lily. The last picture seems a lot like the book’s image of them. So sweet!! 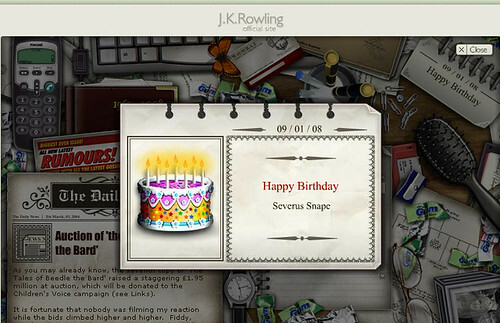 Happy Birthday Snape. 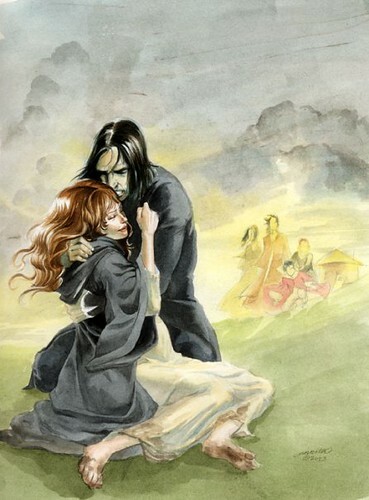 Stick with the Snape and Janet pic. I love what you choose in the end. I think you chose beautifully. And yes, that’s what I was doing while I was gone. I learned a lot of cool things about those wolves; it was eye-opening. These are wonderful. Very romantic. I’m kind of amazed at this – so much art and emotion. It fascinates me, really. And you do it so well (of course). Oh, I like the one you chose best of all. I like the one you chose best. It reminds me of the theatrical masks – yin and yang. It just does it for me.